80 Charlotte Street is the transformation of 1960s single-use blocks into a fully integrated development in Fitzrovia, London. The redevelopment will include an upgrade to interiors, adding new upper-floor extensions and three new atria above roof level. 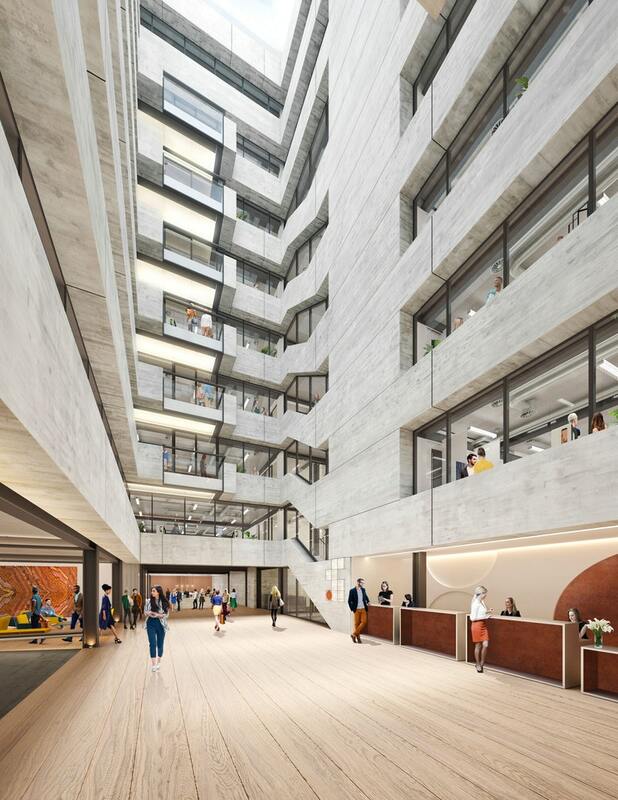 The finished scheme will be a mix office, residential, retail and public space and aims to achieve an environmental rating of ‘Level 4’ under the Code for Sustainable Homes. Farrat assisted Arup in developing a structural thermal break suitable for use between the primary floor beam and column connections. 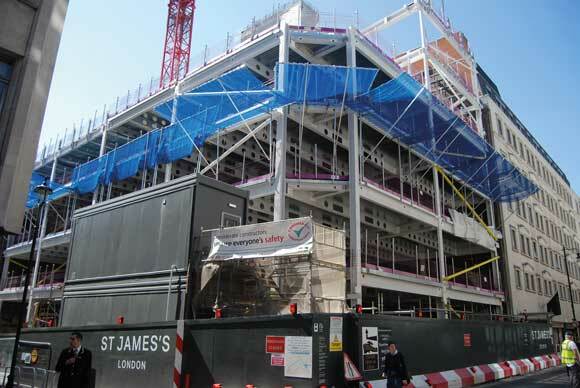 Understanding the structural requirement of thermal insulation on this project was crucial, and Farrat were able to engage with the designers in the early stages of the project. Farrat manufactured precision-cut Structural Thermal Breaks from our highest-strength material in accordance with the bespoke requirements of the customer, the BBA Quality Plan, ISO 9001 and ISO 14001. The Structural Thermal Breaks were supplied with a Certificate of Conformity in accordance with our British Board of Agrément (BBA) Certification. 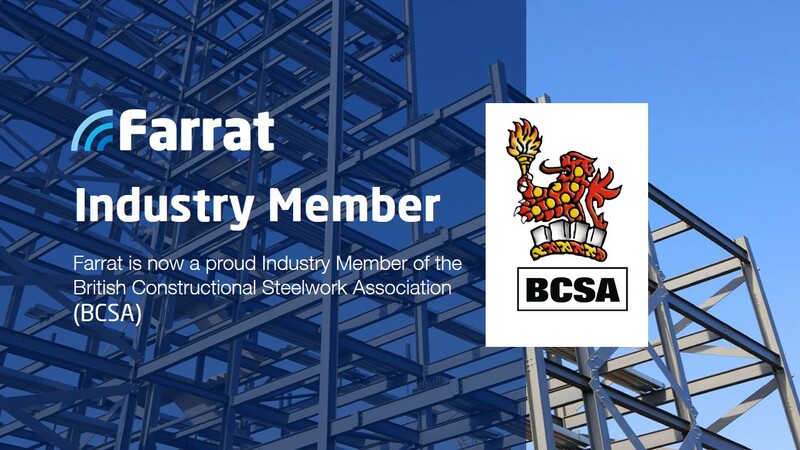 The BBA standard is a mark of quality and ensures that designers and clients have confidence in a product which is used in structural connections. The Post Building is a mixed-use redevelopment of the former Royal Mail Sorting Office, located in London’s vibrant Knowledge Quarter. A combination of carefully curated office, retail and food & beverage amenities, the redevelopment was designed by AHMM Architects and is currently being delivered by Laing O’Rourke. 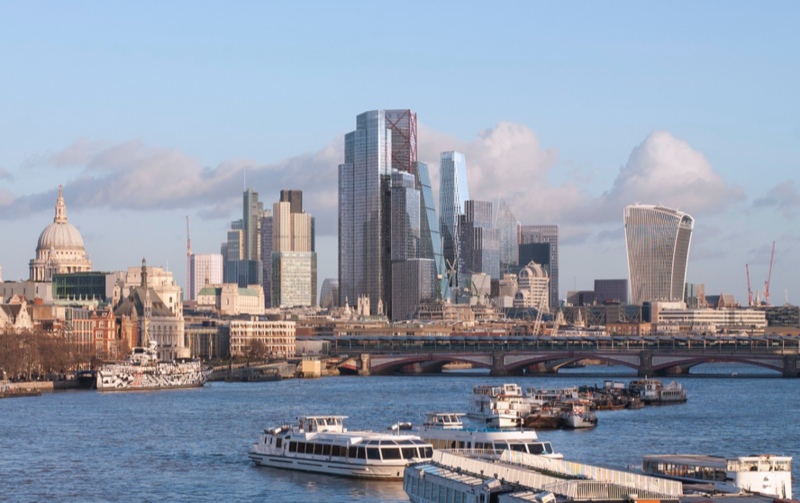 The lower half of the existing frame is retained and a new core and series of intermediate mezzanine levels will be inserted into the centre of its plan. Key structural features include floor to ceiling heights of up to six metres, natural light from all sides and private roof terraces to every floor. 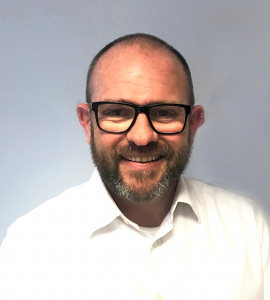 The project targets sustainability ratings of BREEAM Excellent, LEED® Gold and EPC B by incorporating specialist materials and technologies into the design that promote the health and comfort of building occupants and improve building performance. 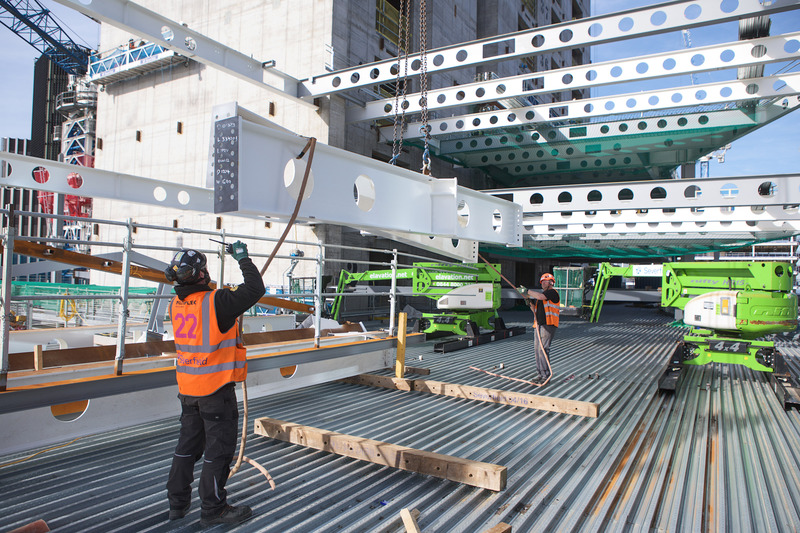 Farrat were approached early in the construction by the steelwork fabricator to supply structural thermal breaks for use between several connections within the structural frame. Farrat Structural Thermal Breaks are incorporated into connections to reduce energy loss and the risk of condensation. They are frequently used as thermal insulators within many building applications to improve the energy performance of buildings. We recommended our high-strength TBK Structural Thermal Break material, as this offers the lowest thermal conductivity and is certificated by the British Board of Agrément (BBA). Farrat is also a member of BRE’s Certified Thermal Product Scheme. Plates of various sizes were precision cut at our UK manufacturing facility and dispatched to site. 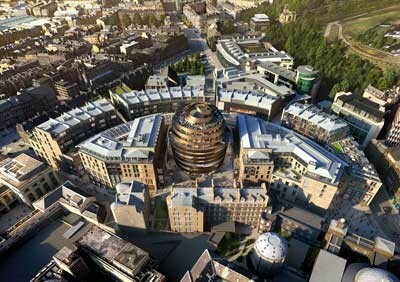 The Post Building is due for completion in 2018. 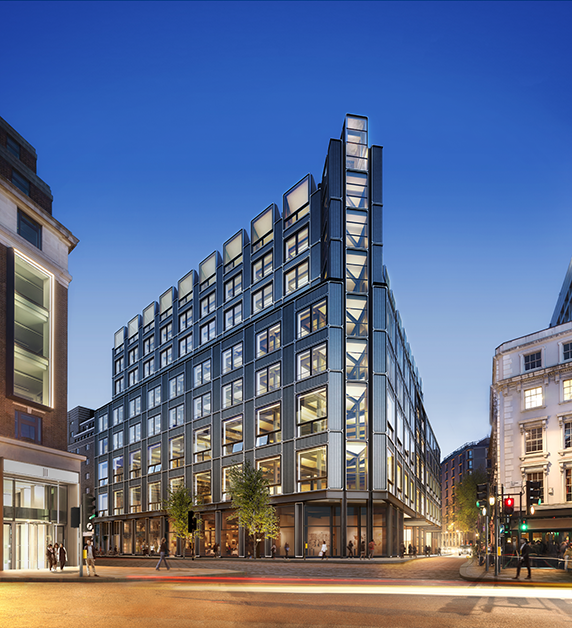 ‘Duke Street’ is an eight-storey office development, which forms part of the much wider St James’s redevelopment – a major 10-year investment programme that will revitalise the renowned central London area with a new public square, offices, retail outlets and high quality residences. The building will provide 3,234m² of office accommodation, spread over six upper floors with two levels of retail offering 1,034m² of space. 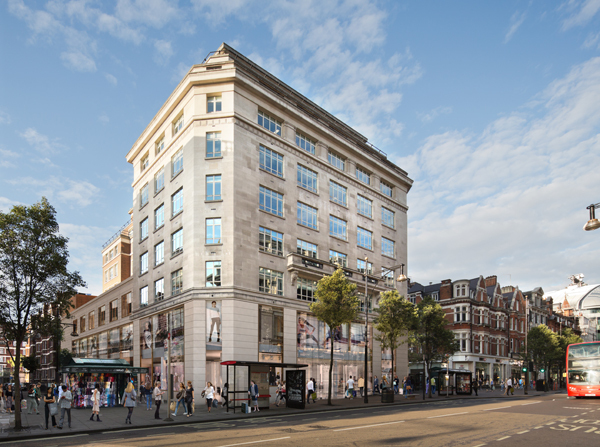 The project aims to achieve BREEAM ‘Outstanding’ for its commercial floors, BREEAM ‘Very Good’ for its retail zone, and as a whole, is targeting a WELL Building Gold Standard rating for its shell and core. The latter certification recognises the building has been designed as a healthy and productive space for its future occupants. 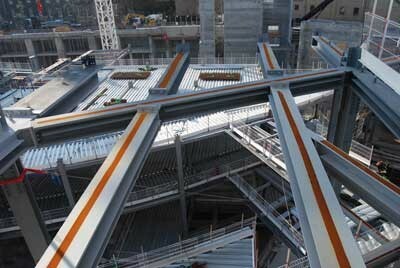 Farrat were approached by the Steelwork Contractor to supply thermal breaks to sit between steel connections within the structure. 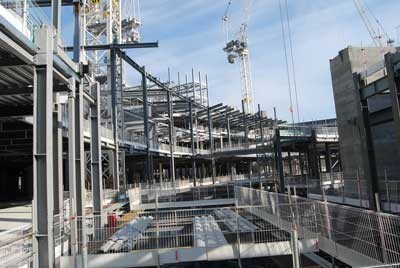 The building’s substructure is formed with concrete, and the main steel frame begins at basement level one, with the majority of the steel frame’s connections via fin plates. The thermal breaks were required to act as thermal insulators within the frame, to reduce the risk of thermal bridging and internal condensation. Our high-strength Structural Thermal Break material was selected, offering the optimum combination of Compressive Strength and Thermal Conductivity. The plates were then precision-cut to the bespoke length, width and hole configurations required. Duke Street is due to complete in Spring 2019. 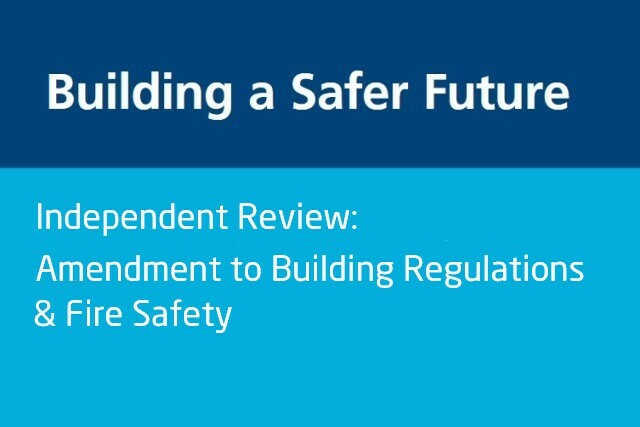 For more information on the WELL Building Standard, download the guide here. 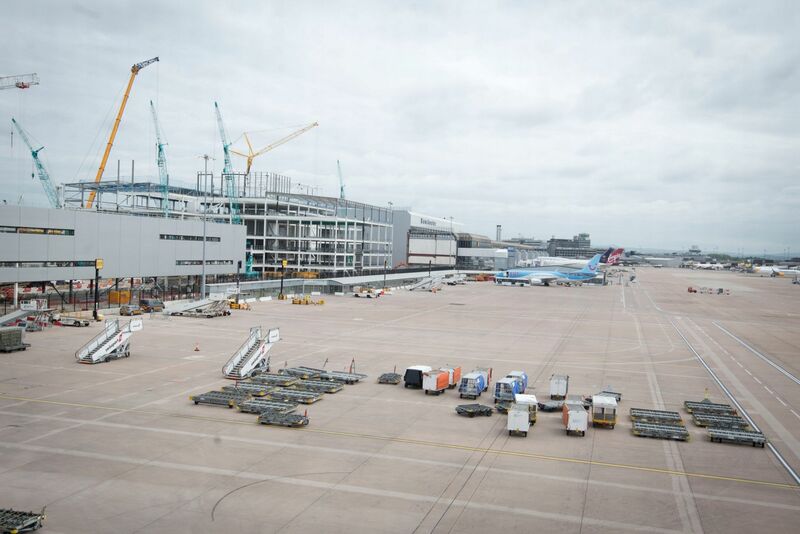 Manchester Airport’s £1bn expansion of Terminal 2 is recognised as the biggest single construction project ever to take place in Greater Manchester. Set for completion in 2020, the expansion known as ‘Super Terminal’, aims to facilitate faster check-in and security checks, as well as a speedier journey through immigration and baggage claim. 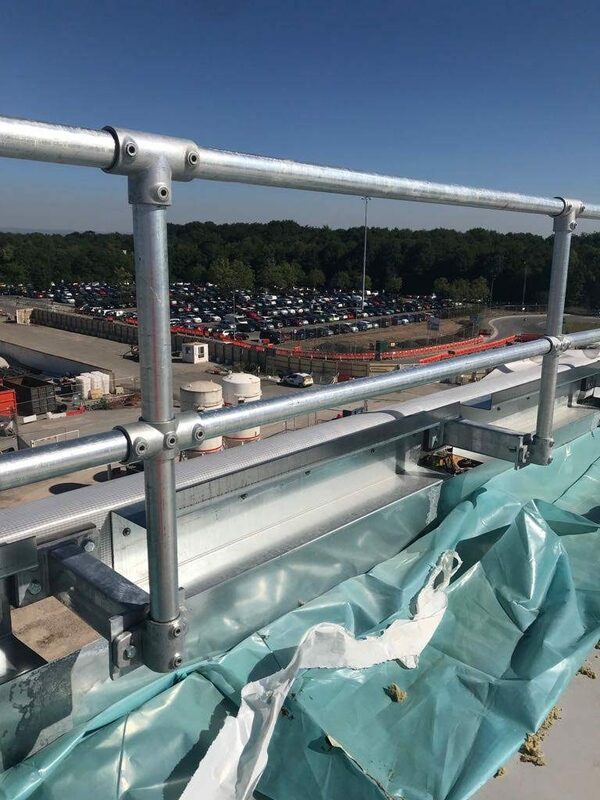 Farrat were approached by the Special Access Consultant to assist with the design, manufacture and supply of a high-strength thermal break that could be used within the Terminal Balustrade System, to prevent condensation and reduce energy loss. 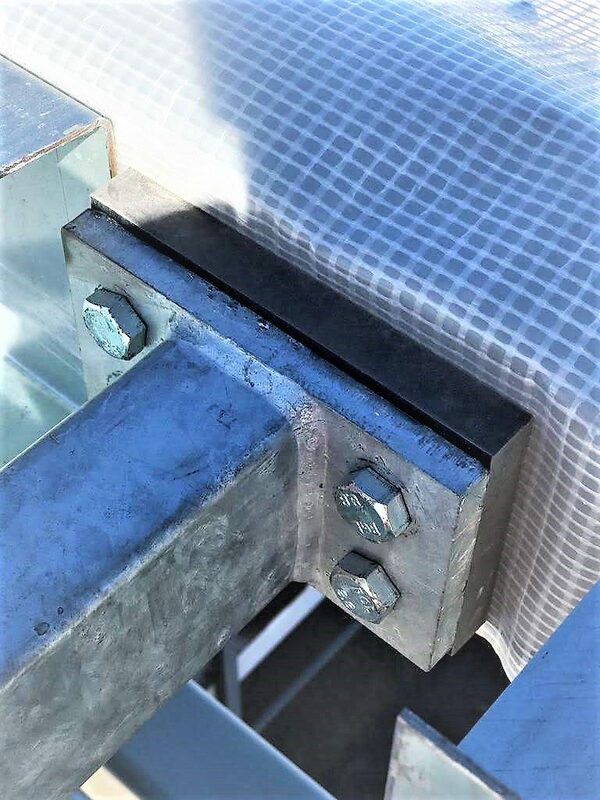 Farrat supplied our highest grade Structural Thermal Breaks as pier bracket backing plates, which were integrated into the hand railing system throughout the Terminal. Farrat Structural Thermal Break are manufactured from materials specifically developed for use within the building envelope; each of our material grades (Farrat TBK and Farrat TBL) have British Board of Agrément Certification [BBA] and every order is accompanied with a Certificate of Conformance. This means that designers and clients can have complete confidence in the product. Designers can download specification details for each material grade from RIBA NBS or by contacting our Technical Team here.